The National Automobile Dealers Association (NADA) will issue its 2019 sales forecast for U.S. new-cars and light trucks during a media/industry briefing via conference call at 2:30 p.m. ET on Thursday, Dec. 13, 2018. NADA Senior Economist Patrick Manzi will provide an outlook of the macroeconomic factors that will impact auto retailing next year, as well as highlight the key sales indicators and trends driving auto sales in 2018 and next year. NADA Chairman Wes Lutz, president of Extreme Dodge-Chrysler-Jeep-Ram in Jackson, Mich., will provide a dealer perspective on industry trends impacting auto sales from the view on Main Street, USA. The call-in number is 800.895.3361. The conference ID is NADA. A Q&A session with members of the media and industry will follow the briefing. focus on the future has always been key to NADA’s mission, and this year’s get-together in Las Vegas (starting on page 8) spotlights the many challenges and opportunities auto retail will face in the next century. Autonomous vehicles. Data security. Social media. An everchanging landscape of federal and state regulations. These hot topics and more are on the roster—and understanding how they affect dealers and consumers will be key to success. That’s why Waymo CEO John Krafcik is Saturday’s general session speaker, bringing along a self-driving car. More workshops than ever will target digital issues—including a super session with Facebook, Google and Twitter. And exhibitors are upping their game, increasing their booth spaces and having more staff on hand to meet one-on-one with dealers. The convention even has a new name—the NADA Show—and a completely new logo. (Same with the American Truck Dealers division, with its ATD Show at the Westgate Hotel & Casino.) But these events aren’t the only changes taking place at your association. Call it “The New NADA” (starting on page 24), marked by a renewed emphasis on advocacy and education. NADA’s focus has always been on the future, beginning in 1917 when 30 car dealers went to Washington, D.C., and successfully opposed a luxury tax on vehicles. Their efforts paved the way for how dealers do business today. At times, NADA has stepped back and taken a long-range view of the industry. In 1986, for example, the association commissioned its “Project 2000” task force to tackle hot-button issues like franchise agreements, customer satisfaction, employee training and retention, dealer/manufacturer communication, and computers. That was back when the internet was still in its infancy, service techs were called mechanics and twitter was only for the birds. Many of the challenges for Project 2000 still resonate today, but—with more aggressive efforts by interest groups and the explosion of digital media that can sway public opinion—NADA’s efforts on behalf of its members are now more critical than ever. 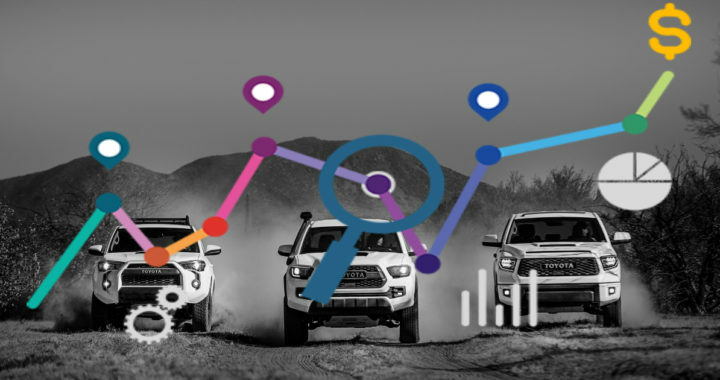 Posted in News and tagged 2019 sales forecast for U.S. new-cars and light trucks, an outlook of factors that will impact auto retailing next year, Auto Retailing Sales Forecast, Download the 2019 sales forecast for U.S. new-cars and light trucks, key sales indicators and trends driving auto sales, NADA, NADA Chairman Wes Lutz, NADA Senior Economist Patrick Manzi, The National Automobile Dealers Association.